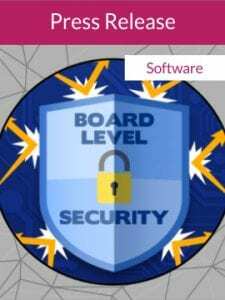 June 2012 – Concurrent Technologies announces the release of their Board Level Security Package for use with their latest processor boards. This package is a comprehensive set of hardware, firmware and software features designed to aid their customers to deliver secure embedded solutions into applications where protecting critical technologies and data is mandatory. The primary line of defense against unauthorized access to equipment handling sensitive data is always the physical security of the chassis. However, this alone cannot prevent tampering or interference to the hardware if the equipment falls into hostile hands. In these circumstances additional measures are required to prevent or frustrate attempts to gain access to sensitive data on a secure system. The Concurrent Technologies’ Board Level Security Package provides a means to enhance the security of equipment and thus prevent access to sensitive data and key Intellectual Property. The security is implemented on Concurrent Technologies’ Single Board Computers using a combination of deeply embedded proprietary hardware, firmware and software countermeasures. The Concurrent Technologies Board Level Security Package provides a set of customer configurable security options that can be tailored to provide a unique security solution for each specific application. As part of a systems solution strategy, the Board Level Security Package provides counter measures to assist in preventing: physical intrusion, booting from non-secure sources, accessing classified data, retrieving sensitive Intellectual Property, modifying non-volatile memory, executing non-trusted software, unauthorised modification of system configuration, bypassing low level firmware and reverse engineering. The release of the Board Level Security Package is complemented by the release of the VP 91x/01x, 6U VME Single Board Computer based on 3rd generation Intel® Core™ processors, featuring comprehensive support for the Board Level Security Package. Operating systems currently supported by the Board Level Security Package are Windows® 7, Windows® XP, Windows® Embedded Standard 7, Linux® and VxWorks®.